CLEARWATER, Fla. — Nineteen swimmers were pulled to the shore by rescuers in Sarasota County and along Clearwater Beach Monday and Tuesday after being swept up in strong rip currents. Clearwater Fire & Rescue officials are warning swimmers about the dangerous surf conditions after five people were rescued in two different spots within an hour's time on Monday evening. One rescue was near Pier 60, the other was several blocks North. Sarasota County officials say they've rescued 14 people in various spots along the beach from Lido Key, Turtle Beach and other southern portions of the county. 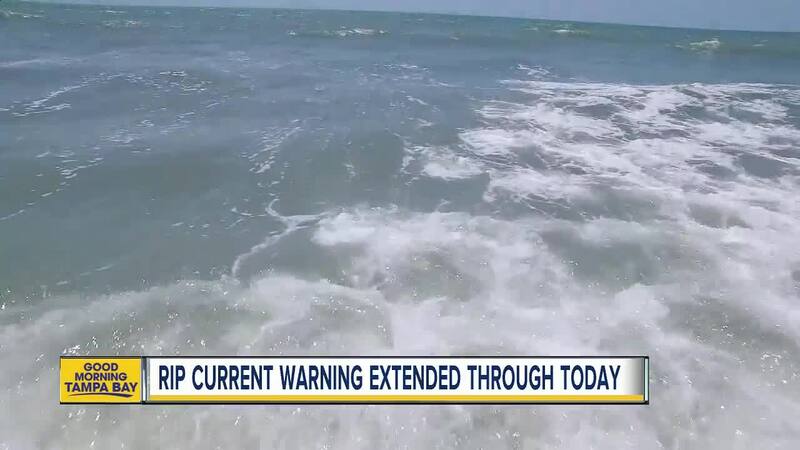 Dangerous rip currents and surf conditions are expected through Wednesday, according to the National Weather Service at Ruskin. 15-year-old Frank Kantor and his dad, Robert, were among the swimmers who were rescued on Monday. The dad and son went out for their usual swim on North Clearwater Beach when they were swept up by a strong current and swept further into the Gulf. 15-year-old Frank tells ABC Action News he never felt a current stronger than the one that sucked him and his dad away from the shore. “If you even stopped for a split second to catch your breath, it pushed you out even more," Kantor explained. Kantor says he and his dad swam for 30 minutes trying to escape the dangerous current, as their arms weighed down like concrete blocks. Eventually, firefighters arrived and helped use a paddleboard to bring the father and son back to the sand. The rip currents are keeping firefighters like John Klinefelter busy. “They can and will wear out the strongest swimmers out there. That's what makes rip currents so dangerous,” Klinefelter explained. Less than an hour after the Kantors were rescued, at approximately 8 p.m., crews responded to the area south of Pier 60 and assisted three more swimmers caught in the strong currents. Firefighters are reminding beachgoers to know surf conditions before they go into the water and to always swim near a lifeguard when possible. Flags hung on Clearwater Beach are currently yellow, meaning use caution. 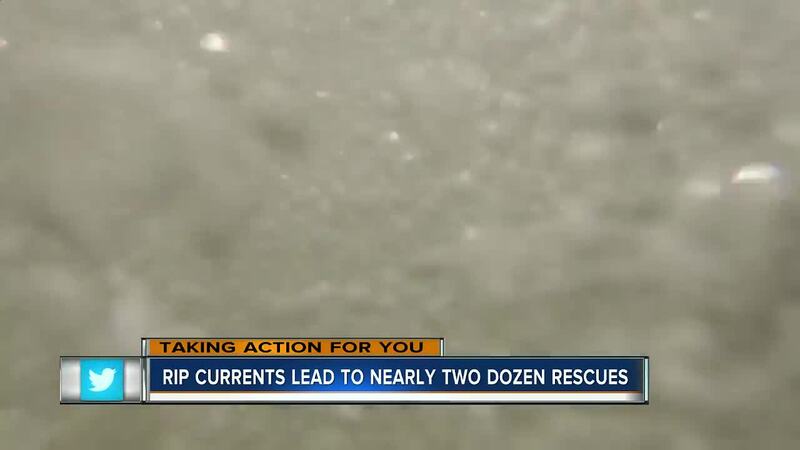 Meteorologists expect the rip currents to pose a danger for the next few days. Lifeguards best advice: If you get caught in one, swim diagonally to shore.